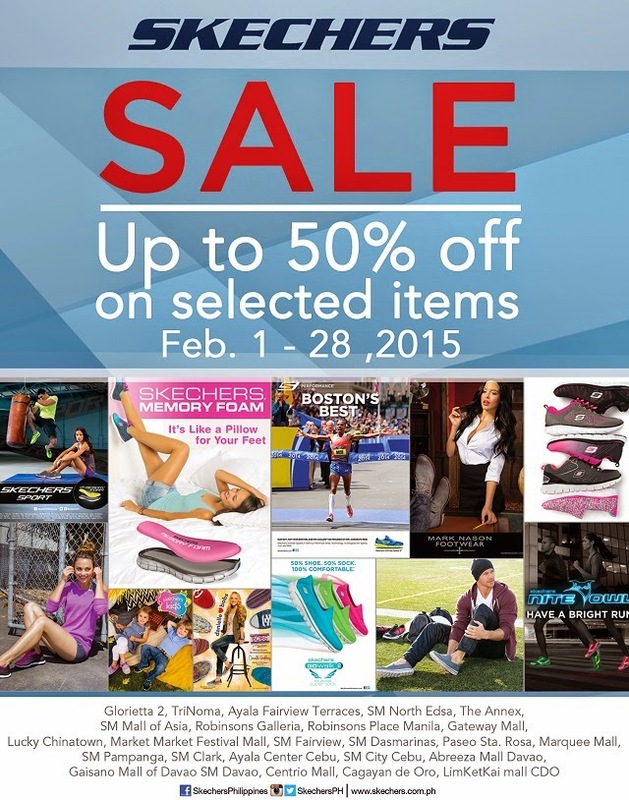 Shoppers can enjoy the best deals at the much-awaited Skechers month-long sale this February! Enjoy up to 50% off on selected items, plus special discounts on a wide range of lifestyle and performance footwear, apparel, and watches. Don’t miss out on this grand sale event in all Skechers stores: Glorietta 2, TriNoma, Ayala Fairview Terraces, SM North Edsa, The Annex, SM Mall of Asia, Robinsons Galleria, Robinsons Place Manila, Gateway Mall, Lucky Chinatown, Market Market, Festival Mall, SM Fairview, SM Dasmariñas, Paseo Sta. Rosa, Marquee Mall, SM Pampanga, SM Clark, Ayala Center Cebu, SM City Cebu, SM Davao, Centrio Mall Cagayan de Oro and LimKetKai Mall CDO. For more information, visit the Skechers Philippines Facebook page via www.facebook.com/SkechersPhilippines, and follow Skechers on Twitter and Instagram via @SkechersPH.